Thread Check Inc. offers a full range of thread measuring instruments from world leading manufacturers including Mitutoyo, Starrett, Starrett Webber, SPI - Swiss Precision Instruments, Gagemaker, Mahr® Inc., Fowler, TCI Air Gaging, Flexbar Products, Gagemaker Instruments, Phase II, Renishaw, Pi Tape and many more. Thread Check's expert sales engineers have many years of experience in manufacturing, machining, and calibration, and can assist you in selecting the best thread measuring instruments for your applications. Thread Check, Inc. offers Mitutoyo precision hand tools and thread measuring instrument. 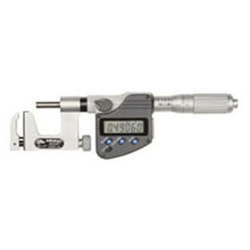 Mitutoyo offers a full range of micrometers, mitutoyo calipers, bore gages, depth gages, height gages, gage blocks, snap meters, digimatic indicators, thickness gages, laser micrometers, hardness testers, toolmaker's microscope, surftests, linear scales, profile projectors, digital hand tachometers, digital protractors, rulers, radius gages, vision measuring systems, coordinate measuring machines, roundtest and formtracer instruments. 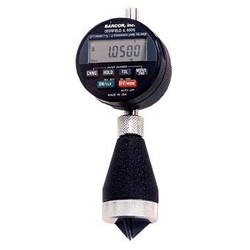 Mitutoyo is the world's largest manufacturer of precision measuring instruments. Call 800 767-7633 or 631 231-1515 for Thread Check's great prices, product support and the largest product inventory of Mitutoyo tools. 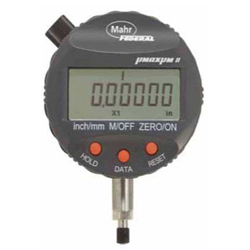 Mahr offers an extensive range of products and solutions for your measurement task. Digimar Height Measuring Instruments, Marameter indicating measuring instrument for high precision internal and external measurements. Air Gages, MarCal Calipers, MarCator Indicators, MarConnect USB Ready Interfaces, Pocket Surf Portable Roughness Gages, MahrSurf roughness and contour measurement, Mahrtest Indicators, MahrTool Inspection Tools, Micromar Micrometers, Millimar probes, Millimess series dial and digital comparators, and Multimar Universal Measuring Instruments. Thread Check Inc is proud to be an authorized distributor of Gagemaker products. Gagemaker is a Houston based designer and manufacturer of precision mechanical inspection equipment for the quality control industry. Gagemaker has supplied quality gaging equipment to the oilfield, automotive, and general machining industries since 1982. 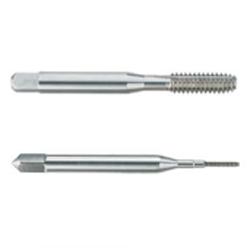 Gagemaker's MRP Series of gages and other products have revolutionized the industry of tapered threads. 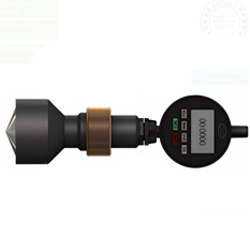 The innovative design allows for more accurate measurement of tubular connections which has aided the development of torque and turn measurements. Their gages provide an alternative to comparable plug and ring gages. INSIZE is a world leader in thread measuring instruments. Their increasing popularity and brand recognition is driven by quality and value. INSIZE offers a large range of products including calipers, micrometers, data transfer systems, height measurement gages, internal and external diameter gages, indicators, squares, protractors, rules, pitch gages, granite surface plates, scales, microscopes, profile projectors, vision systems, levels, roughness testers, hardness testers, torque testers, torque wrenches, and force gages. INSIZE guarantees that all of their products are of the highest quality and made to international standards. INSIZE manufactures high performance products at a great value price point. Thread Check is proud to be an authorized distributor for Balax, Inc., a privately held corporation located near Milwaukee in North Lake, Wisconsin. Founded in 1958, Balax pioneered a design for cold forming taps featuring "Lead Form Geometry Correction", a process which reduces tapping torque by creating lead threads on pitch. The new taps, called Thredfloers, were said to be "BALanced AXially", giving rise to the company's name, BALAX. Thredfloer Taps, with their low torque capabilities, soon found acceptance among US manufacturers across the country. Balax has since added other metalworking tools to its product line, including Thredshaver Cutting Taps, and Thread Gages. All manufacturing processes are done in house at Balax, including blank making, heat treating, shank and square grinding, fluting, thread grinding and surface treatments. Balax also maintains a fully equipped tapping laboratory to test new design concepts for tapping torque, tapping speed, tool geometry, coolant or lubrication performance, pretap hole sizing, and material compatibility. Please contact Thread Check Inc. for all of you Balax tapping requirements. 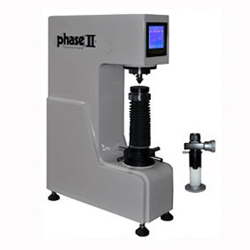 Phase II is a Leading Supplier of Machine Tool Accessories, Material Testing Instrumentation, Precision Measuring Tools, Cutting Taps & Tools and Shop Supplies. 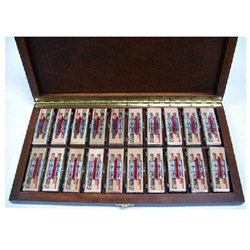 Starrett, founded in 1880, manufactures more than 5,000 variations of Precision Tools, Gages, Micrometers, Measuring Instruments and Saw Blades for industrial, professional and consumer markets worldwide. From the shop floor to the inspection clean room, from jobsite to home workshop, for more than 125 years, Starrett precision measuring tools, saw blades and other quality products have earned the trust of those who rely on their tools. For nearly 80 years the Webber Gage Division has concentrated on the design, development, and production of micro-accurate gage blocks and accessories. Webber Gage is an acknowledged leader in the manufacturing of gage blocks and offers the widest selection of gage blocks. We offer gage blocks in steel, ceramic and croblox®(chromium-carbide) materials, Inch and Metric measuring systems, and in both rectangular and square style blocks. Webber Gage also offers our own Heavy-Duty style of gage blocks with a side-clamping feature for building large combinations of gage blocks. Webber Gage offers a unique line of Angle Gage Blocks and True Squares of unsurpassed accuracy for precise angular measurements and setups. For nearly 50 years, Swiss Precision Instruments, Inc. has continuously introduced exciting new products to the metalworking industry. 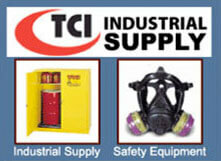 Since 1956 the SPI family of products has always offered customers Quality, Value and fast Delivery. Today the tradition continues. 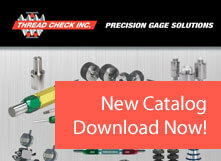 Our 408 page catalog features all the SPI Branded Products. You will find numerous New, Unique and Hard To Find Measuring Tools, Optical Tools, Machine Tool and Shop Accessories. The Fred V. Fowler Company is globally recognized as one of today's leading suppliers of quality control and inspection equipment. Founded in 1946, we have dedicated our 54 year history to supplying the most innovative measuring products possible. As industry moves more in the direction of computer-aided manufacturing, Fowler continues to introduce important new tools designed to lead the way in thread gages inspections and measuring. Familiar items-including calipers, micrometers, indicators, height gages and bore gages - have been redesigned and now feature state of the art electronics to ensure compatibility with the latest in computer integrated manufacturing and statistical process control (SPC). Brown & Sharpe is a brand of Hexagon Metrology, Inc. We offer the most complete line of dimensional metrology products anywhere in the world. 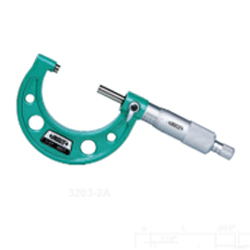 On this site you will find products and services from many Hexagon Metrology brands including: Bridge-style Coordinate measuring machines from Brown & Sharpe, Horizontal Arm CMMs and Gantry CMMs by DEA, the Ultra-High Accuracy CMM line from Leitz, Brown & Sharpe and TESA branded precision hand tools and 1D to 3D measuring instruments, the TESAStar CMM probing system, PC-DMIS Measuring software, Vision measuring machines from Brown & Sharpe and TESA, plus information on CMM software upgrades, CMM contract inspection, CMM training, and CMM repair and calibration services. Thread Check Inc. offers complete, integrated air gaging systems: amplifiers, tooling, setting masters, connectors and accessories. The adjustable magnification of the TCI back-pressure bleed system makes adaptability to many applications effortless within broad ranges of tolerance. Contact us to discuss your measurement needs, and how TCI Air Gaging can fill them economically, with precision and with long-lasting quality. All tooling is engineered to the application, designed to optimize wear life for the system it's being used on, and tested on the systems for which it's engineered before it leaves our factory. Flexbar provides you with hundreds of unique industrial products covering a wide range of applications. You will find a wide variety of precision measuring instruments, machine tool accessories, machine safety guards, hardness testing equipment, surface roughness gages, and optical and video inspection systems. In metrology, motion control, machine calibration, dental CAD/CAM, spectroscopy and neurosurgery, Renishaw innovations enhance precision, efficiency and quality. 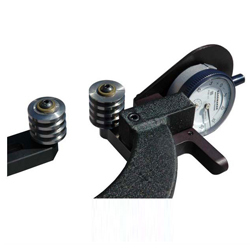 DIATEST manufactures high-precision measuring instruments with a repeatability of up to 0,001 mm / 0,00005". Plug gages, Split Ball Probes, Plunger Probes, Chamfer Gauges, TD-Gauges, Gear Gauges, Dial Indicators, Diatron, Outside Diameter Gauges, Diacators, Dial Indicator Testors, Crank Shaft Gauges, Checking Stands, Floating Holders, Offset Heads, Setting Ring Gauges, Diawireless Gages.